Drinking fountains have been getting more buzz lately as people recognize their potential role in reducing plastic waste and improving public health. A new design feature has emerged as a result: self promotion. 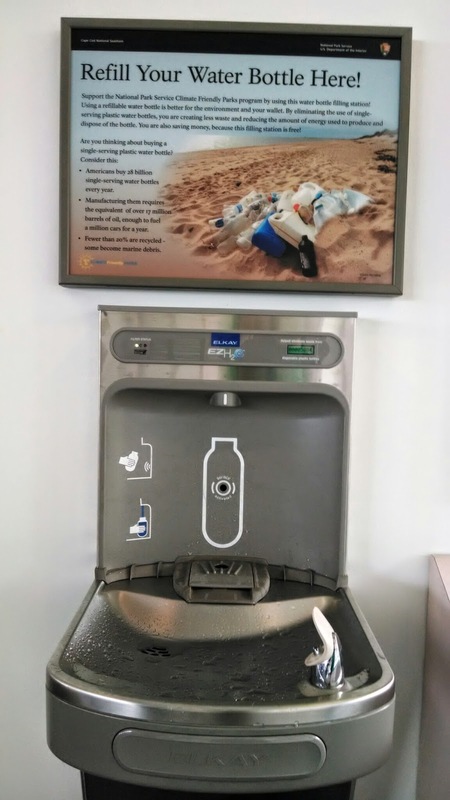 The signs describe how tap water is tested more vigorously than bottled water, that drinking bottled water uses 2,000 times more energy than drinking tap water, and that 30,000,000 plastic water bottles end up in landfills PER DAY. The red fountains also have a flashy display showing how many disposable plastic water bottles they have prevented. 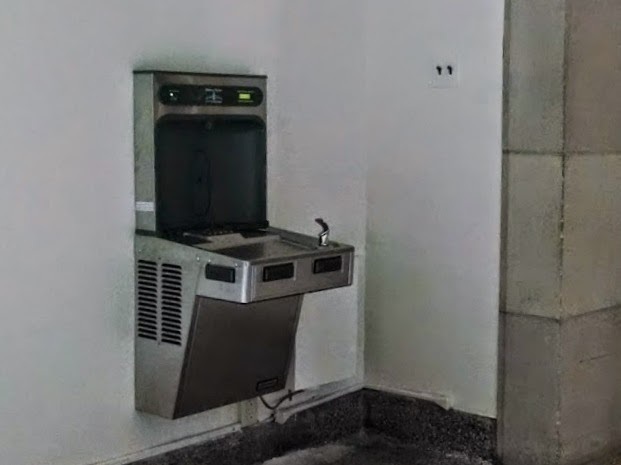 A growing number of new combination bottle filler/drinking fountains feature similar have built-in counters. 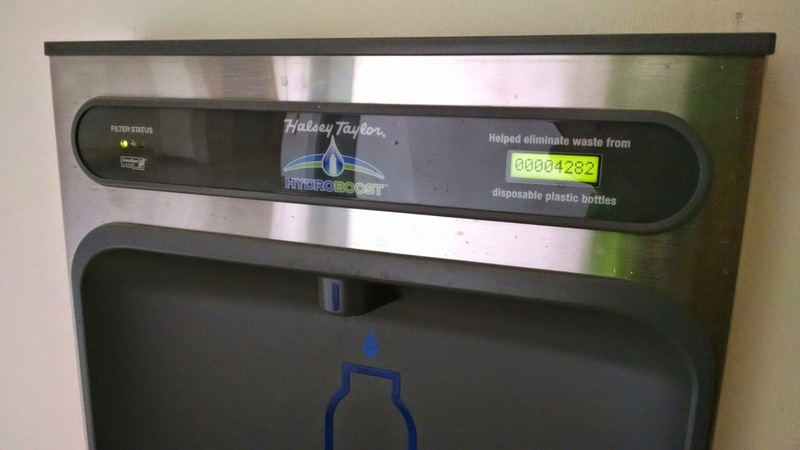 These fountains can help raise awareness about the impacts of disposable bottles and make users feel good about themselves, a great first step in changing behavior.